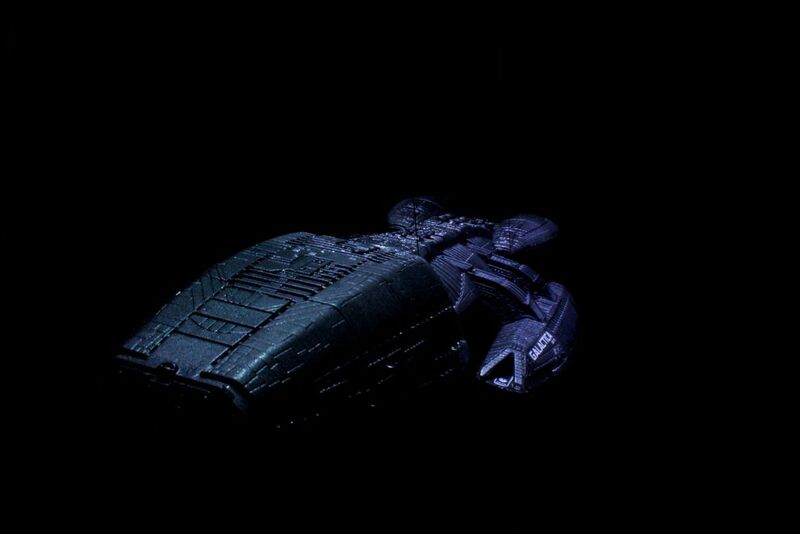 This is a model of the starship Battlestar Galactica from the TV series b the same name. It was the end result of a joint family project. My dad and I have been building models together for as long as I can remember.